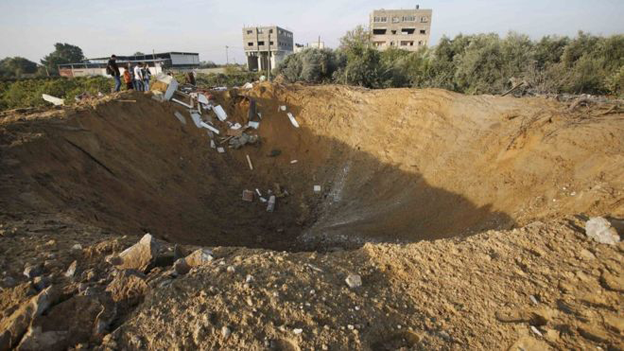 Israel says its jets have hit two targets in the Gaza Strip. In the West Bank, Israeli police say a Palestinian woman set off an explosive device at a checkpoint. She was stopped by police while driving on Sunday morning near the Israeli settlement of Maale Adumim. She "shouted 'Allahu Akbar' (God is great) and detonated an explosive device", a police spokeswoman said, adding that the woman was in critical condition and a policeman was slightly wounded. "The IDF holds Hamas responsible for any act of aggression from the Gaza Strip," said Israel Defense Forces' spokesman Lt Col Peter Lerner in a statement following the air strikes early on Sunday. 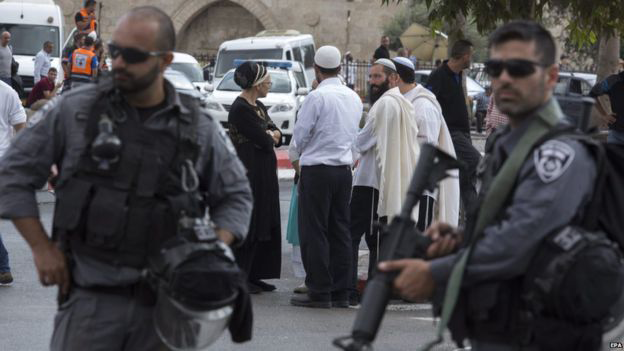 Can Israel and the Palestinians contain spiralling violence? As well as the two reported deaths, medical staff in the Zeitun sector south of Gaza City say three people are trapped in the rubble of the destroyed house. Palestinians fear Israel plans to change arrangements at the al-Aqsa mosque/Temple Mount compound, where Jews are allowed to visit but not allowed to pray - something Israel insists it will continue. Earlier, US Secretary of State John Kerry expressed "deep concern" over the situation. He made separate phone calls to Israeli PM Benjamin Netanyahu and Palestinian Authority President Mahmoud Abbas. In his phone calls earlier Mr Kerry "stressed the importance of upholding the status quo in word and deed" at the site, the state department said. Mr Netanyahu "made it clear that he expects the PA [Palestinian Authority] to stop its wild and mendacious incitement, which is causing the current wave of terrorism", his Twitter account said. Mr Abbas told Mr Kerry that Israel should stop settler "provocations", which he said were carried out under Israeli army protection, his office said. 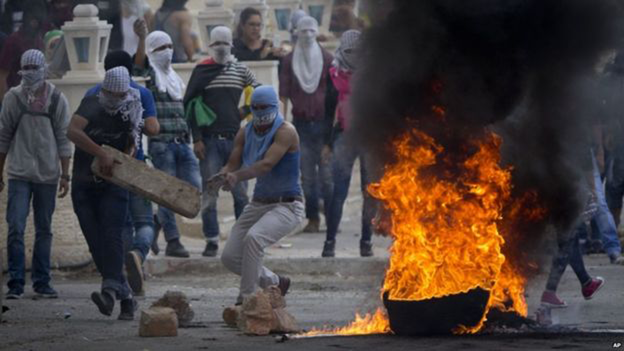 Violent protests broke out after the funeral of a Palestinian man who had been shot during unrest at the Shuafat refugee camp in East Jerusalem and later died of his injuries. 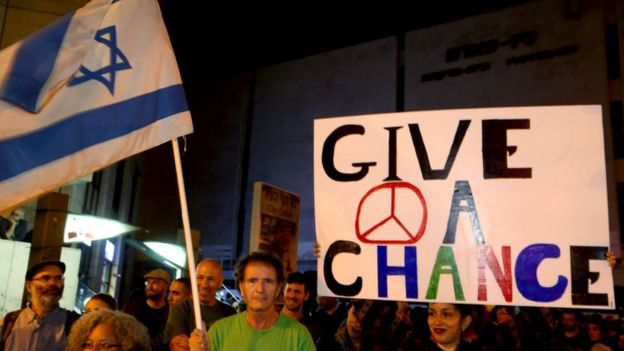 The violence has spurred talk from Hamas, which dominates Gaza, of a new Palestinian intifada, or uprising. But the clashes have not yet reached the scale of previous intifadas, with no clear mass movement or leadership so far emerging.